Hey folks! I've not done many gardening posts this year (have I done any?) because, well, I'm burnt out on it already. Well, at least this year...Under the circumstances. Huh? Naturally, no one listened to me. On top of that, I got pregnant in June and had the worst morning sickness and lethargy out of any of my pregnancies, so that put a real damper on the summer in general. Last, but not least, I have two kids already. We have lots of garden areas. If we're going to actually keep up with them all, I cannot and do not have the time or energy to take care of all the weeding by myself. It's just not feasible. So, perhaps we should probably just cut back on how much we plant. That would make too much sense, right? We do like having fresh veggies, especially the ones we refuse to buy from the store because homegrown ones taste sooo much better, like spaghetti squash. But, I had a thought recently. Unless hubby and the gang get some form of weed control system in place next year (I keep insisting he use the “new” wood chipper and mulch the garden), I would rather set up a trade system or utilize our local online farmer's market group and trade someone extra fruits and berries for veggies. I don't mind taking care of the berry bushes and fruit trees. Maybe it's just because we have less of them, but they're a helluva lot easier to take care of! Plus, to be honest, I like fruits better than veggies. Who doesn't? 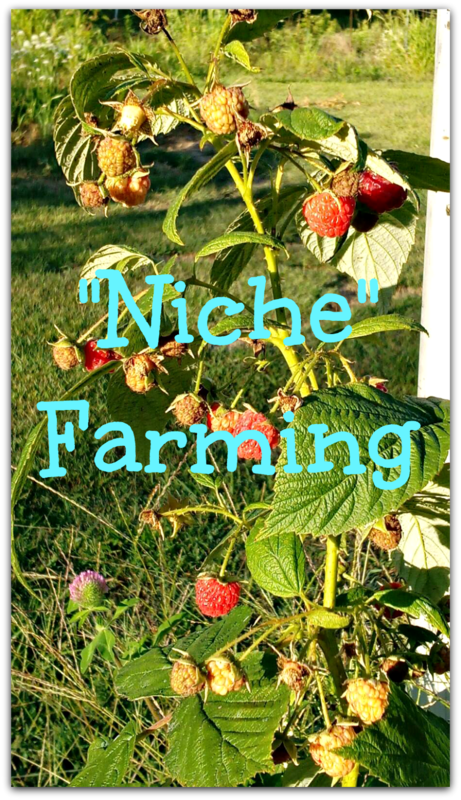 I never did choose a “niche” for my blog because 1) It's my blog. I'll write about whatever I damn well please. 2) I'm interested in far too many things to choose just one or two, so maybe I'll make up for it on our farm and specialize in fruits and berries. (Who am I kidding? I would love to have a pumpkin patch too!) Wouldn't it be kind of fun to have a U-Pick? And make delicious desserts and jellies out of berries and fruits? I would love, love, love, to get more bushes and trees whenever we have the extra money. It's something I get excited about. I don't feel the same when it comes to, well, “all that other stuff”. What about you? 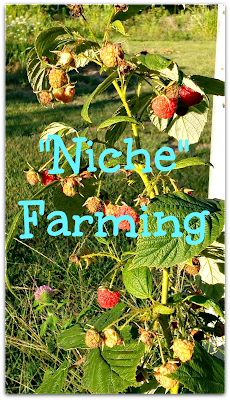 Did you decide to specialize in anything after you started farming or homesteading?